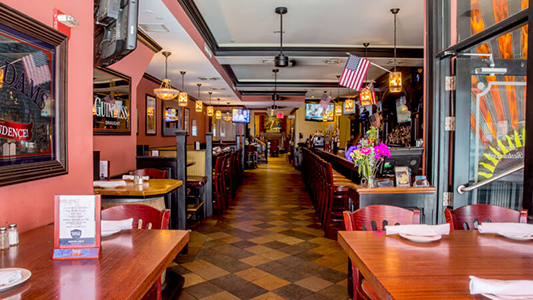 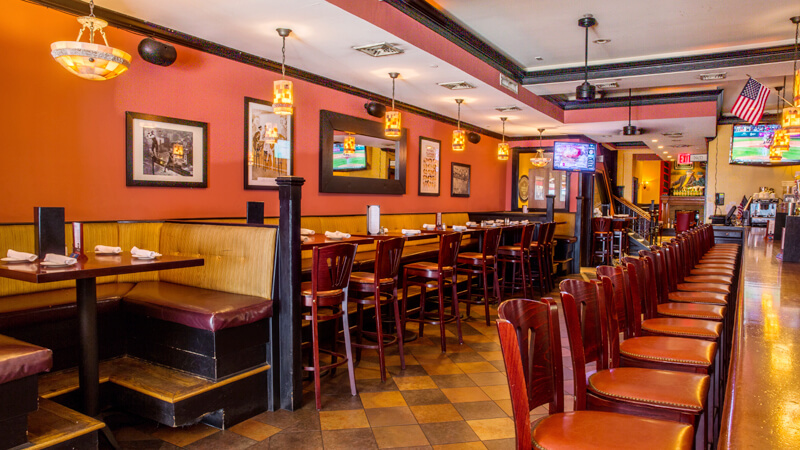 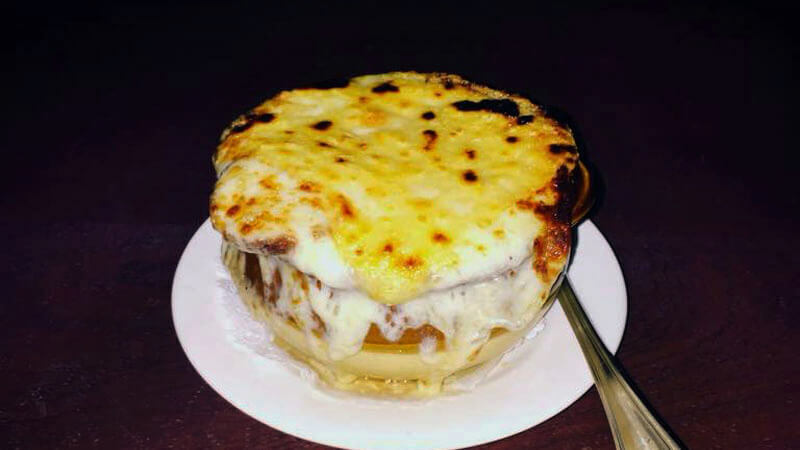 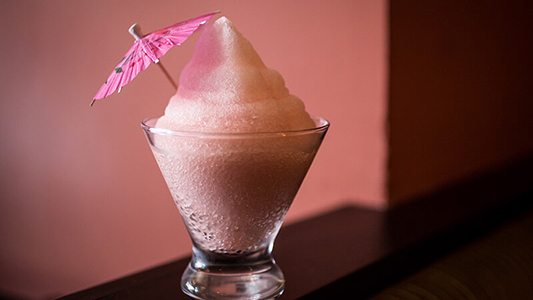 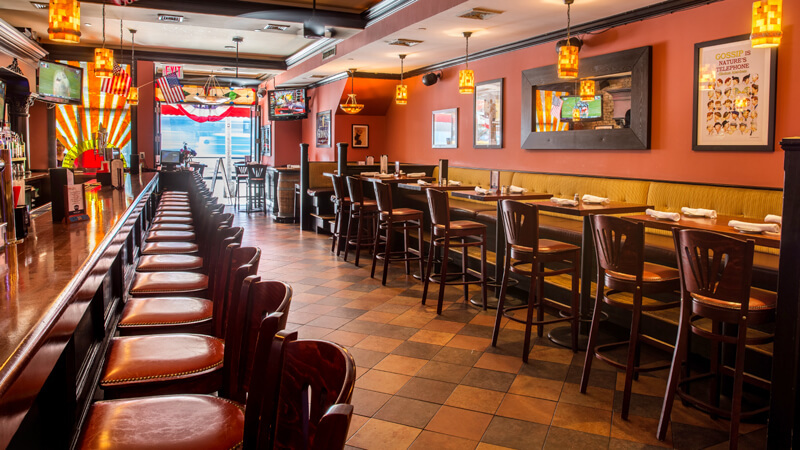 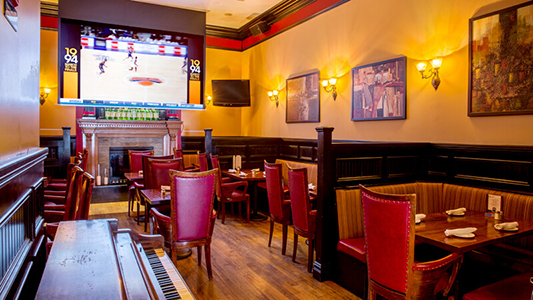 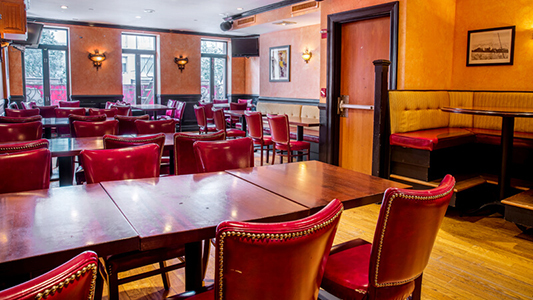 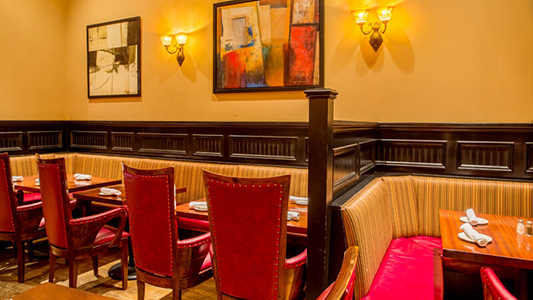 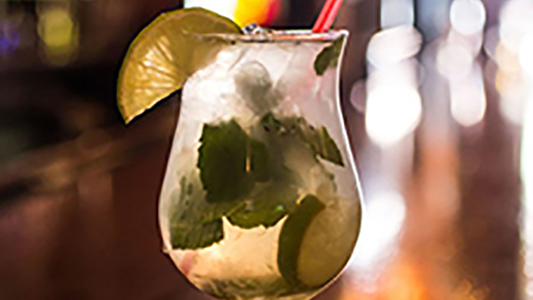 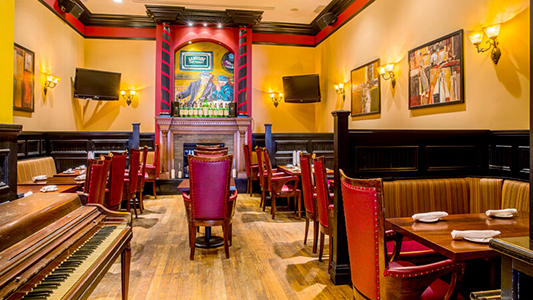 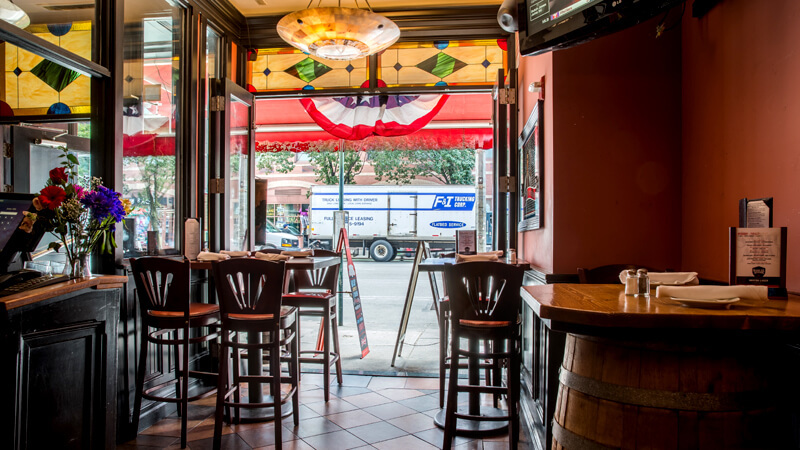 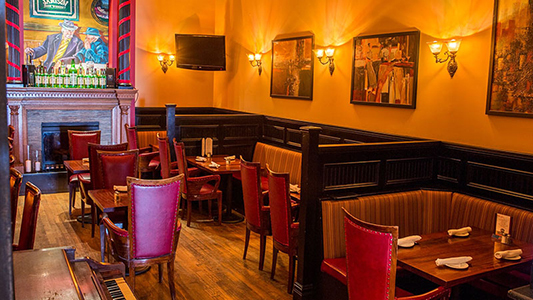 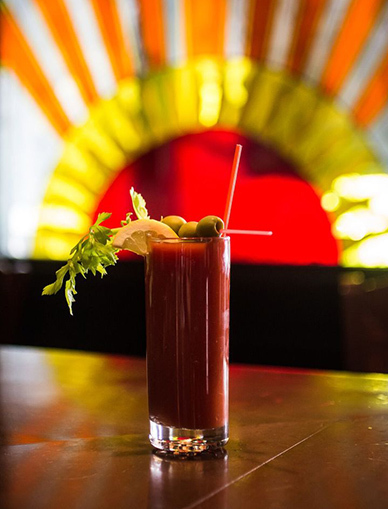 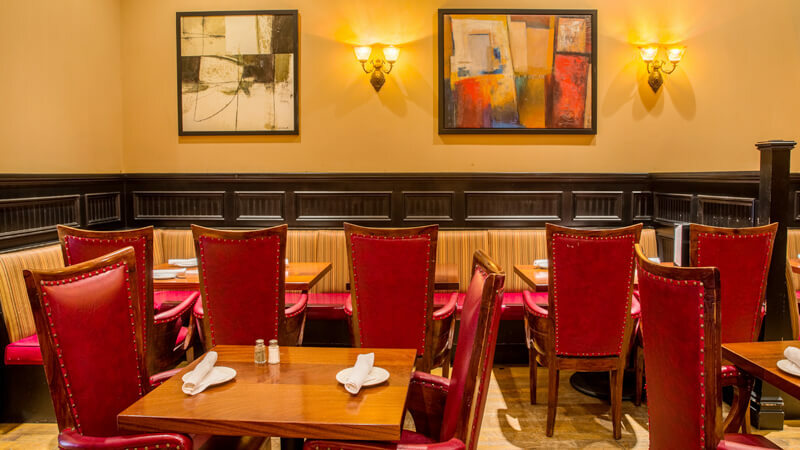 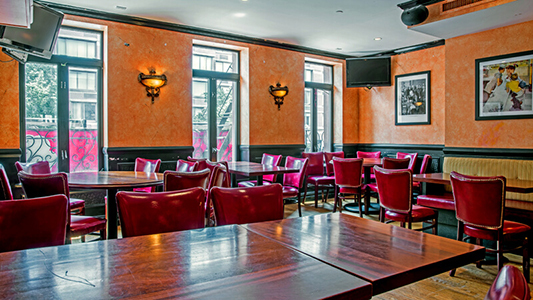 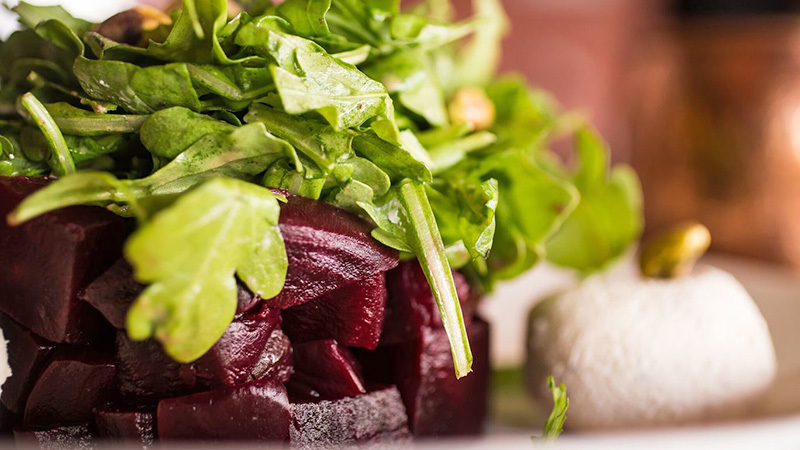 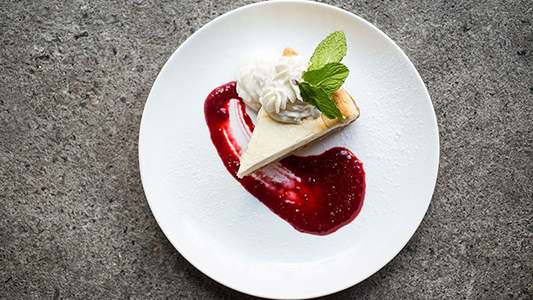 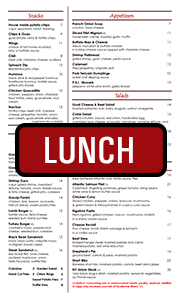 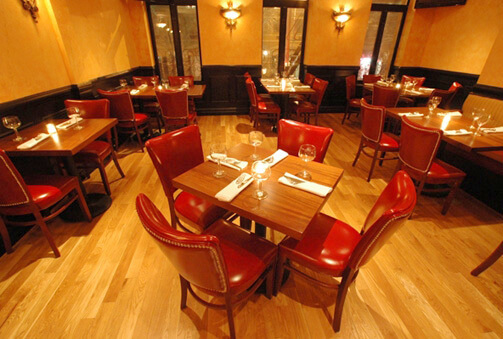 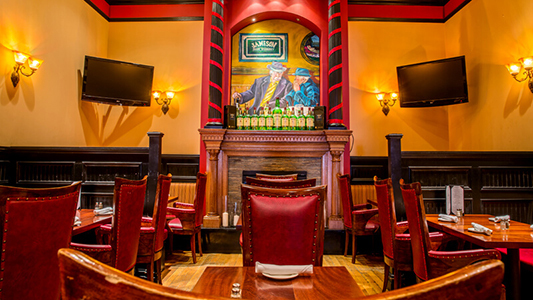 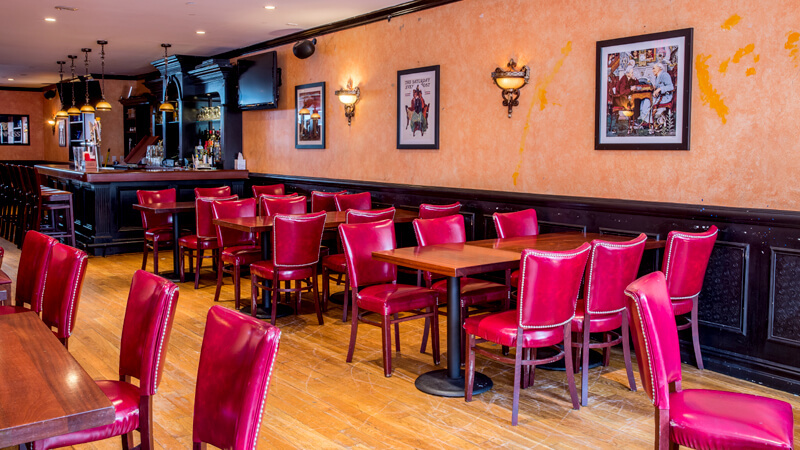 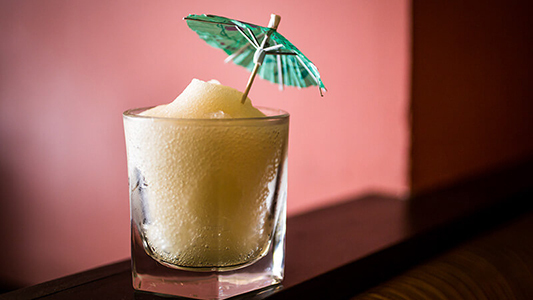 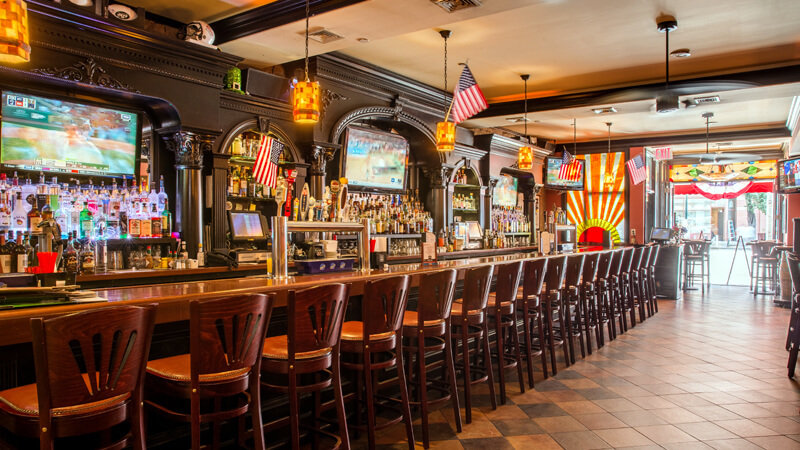 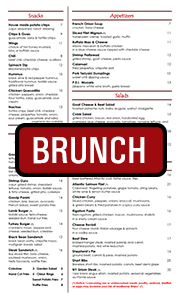 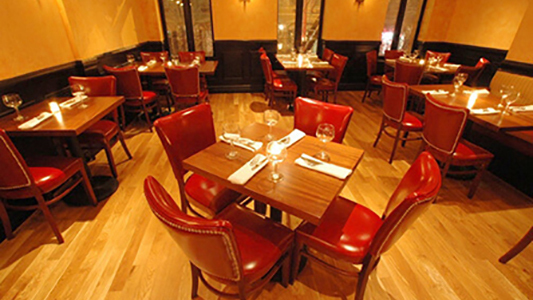 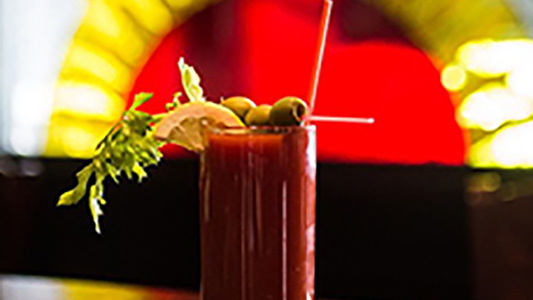 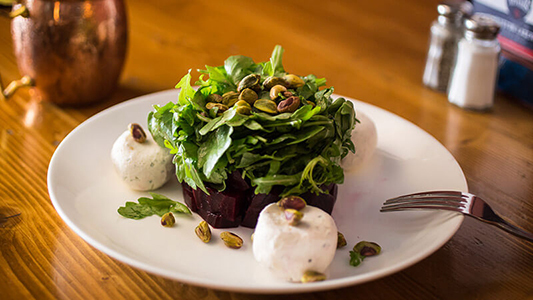 Located on 9th Avenue between 49th and 50th Streets, Gossip serves lunch and dinner with brunch on the weekends. 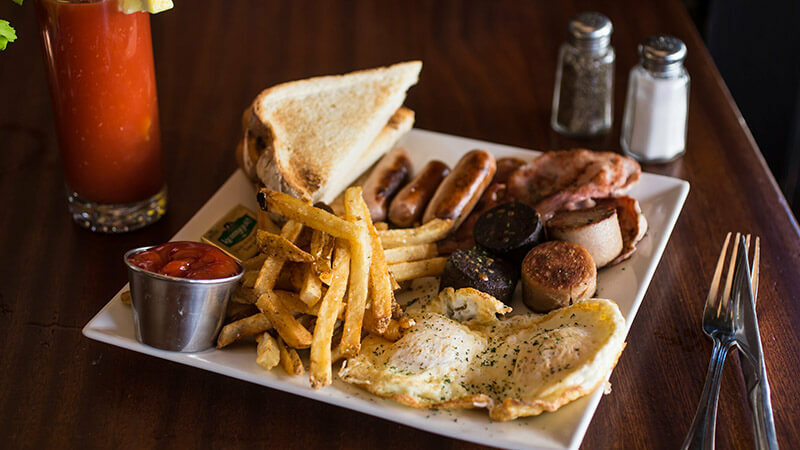 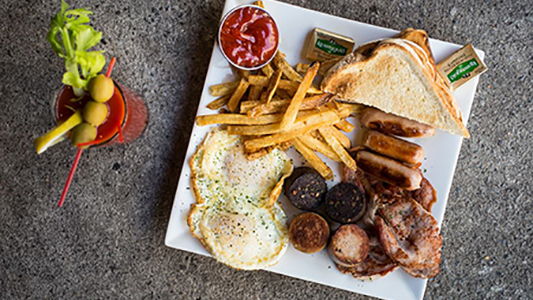 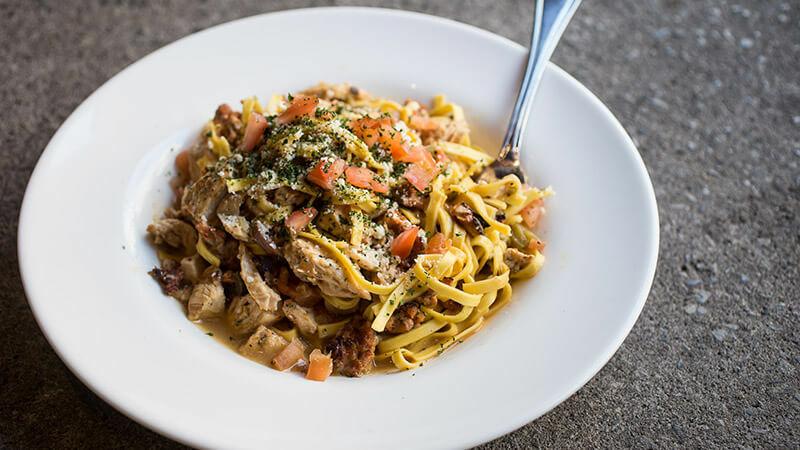 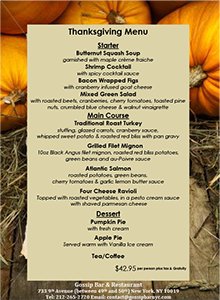 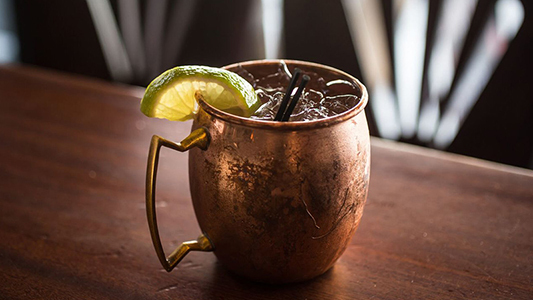 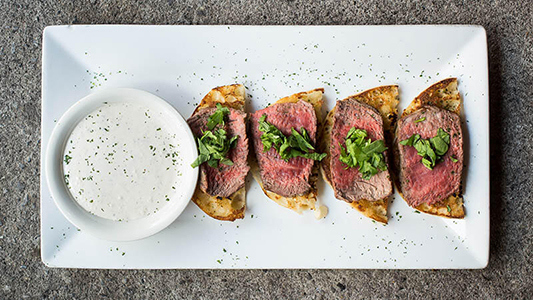 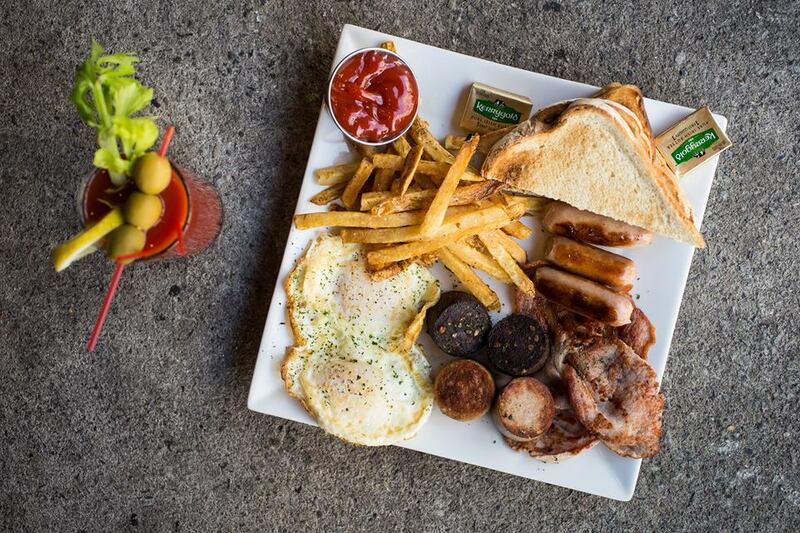 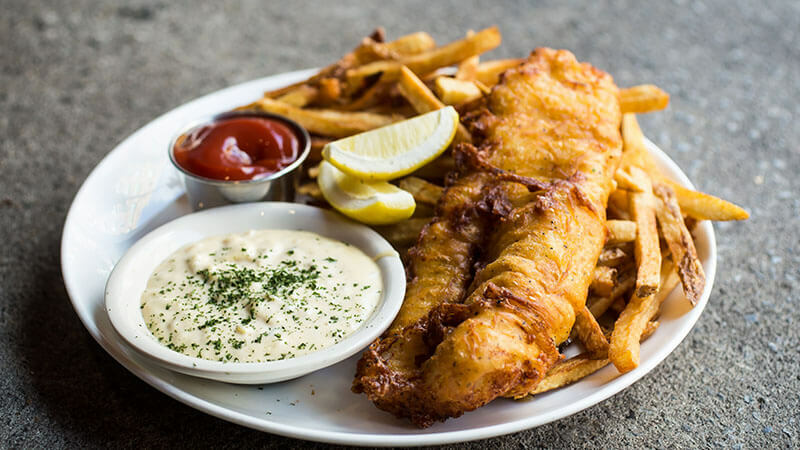 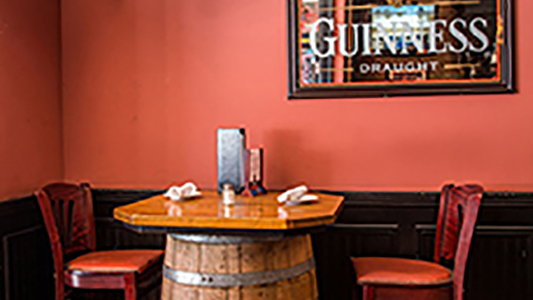 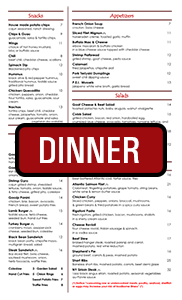 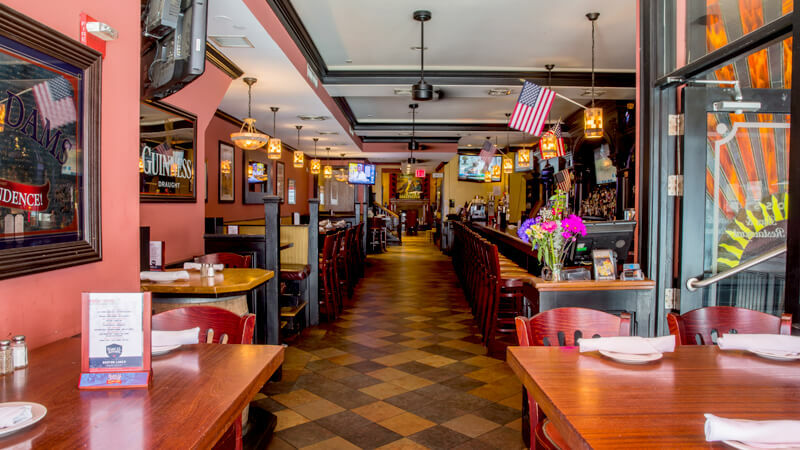 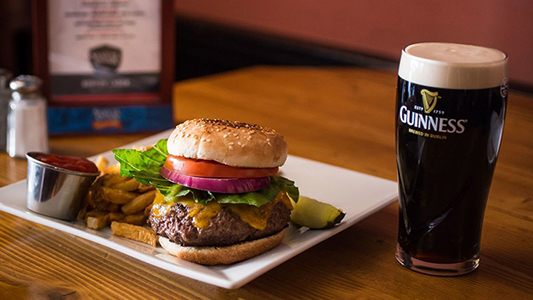 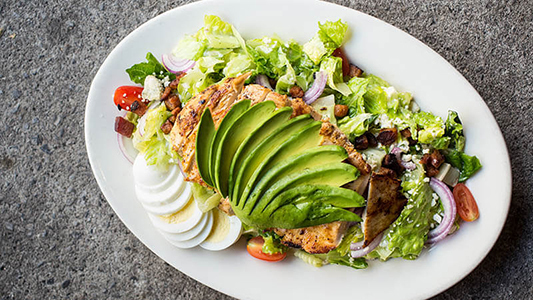 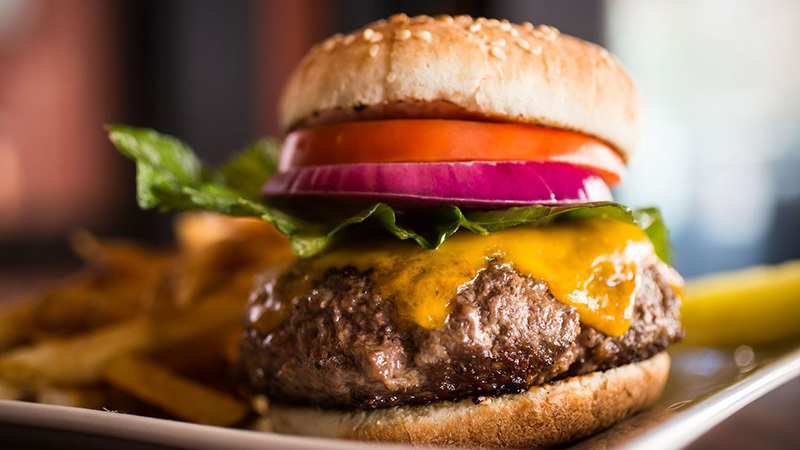 Our American - Irish menu features delicious appetizers, salads, sandwiches and entrees along with daily drink and menu specials. 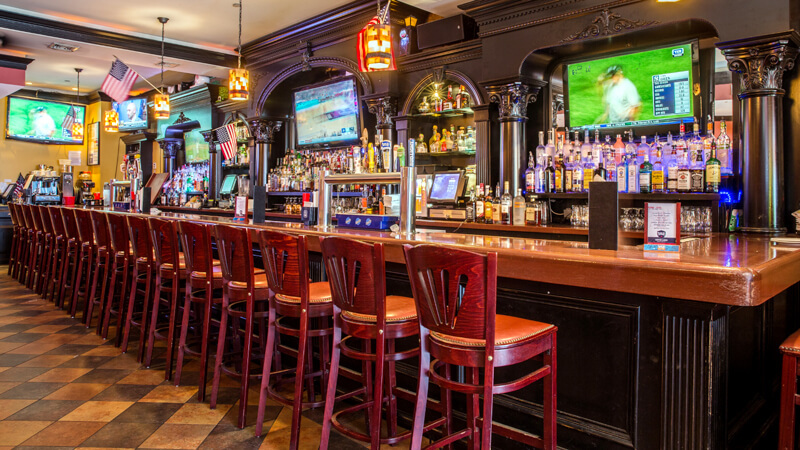 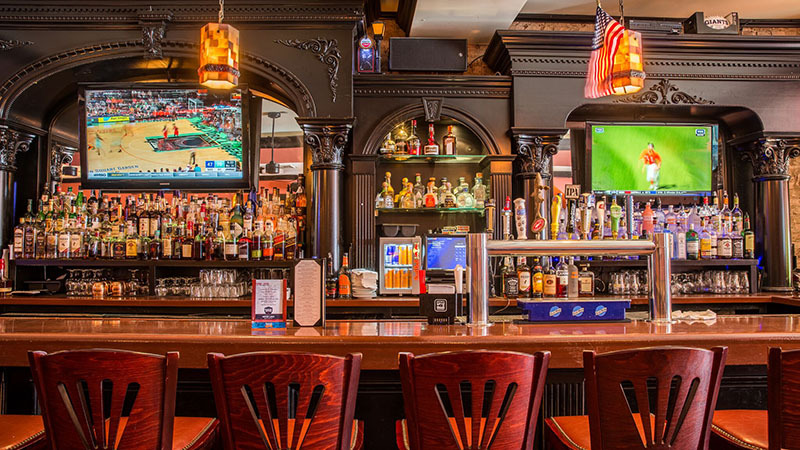 13 flat screen TVs throughout the bar showcase all major sports events. 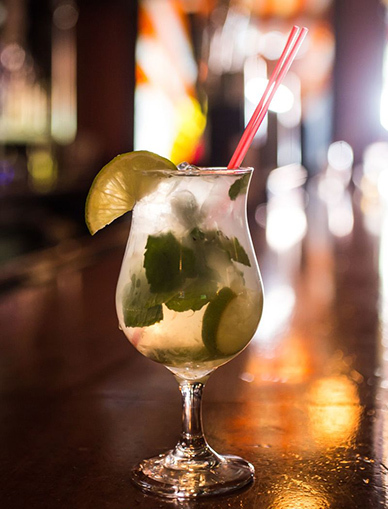 Happy Hour is from 4-7 pm, Monday through Friday. Our second floor private party room is a perfect place for birthday parties, tour groups and celebrations of every kind. 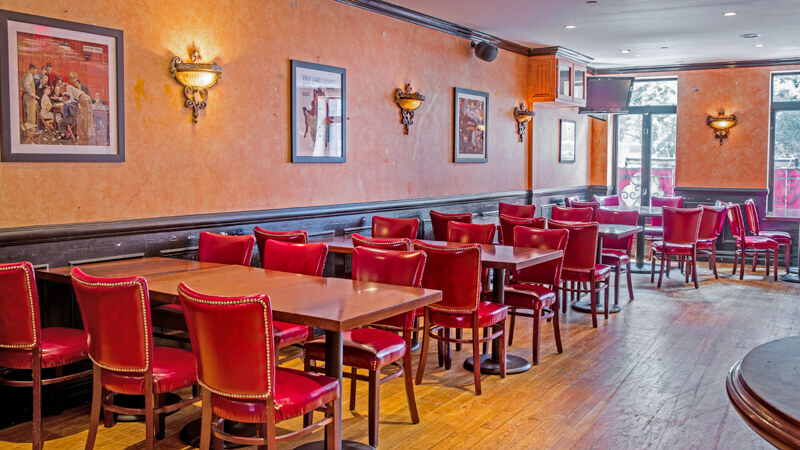 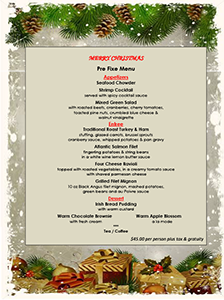 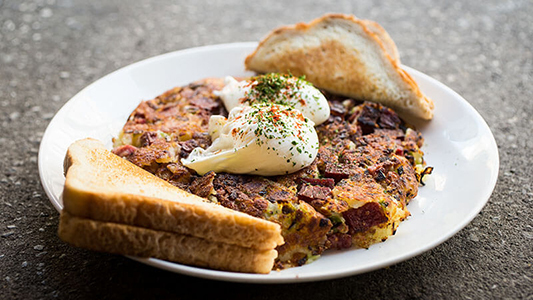 We can accommodate groups of up to 175 for breakfast, lunch or dinner. 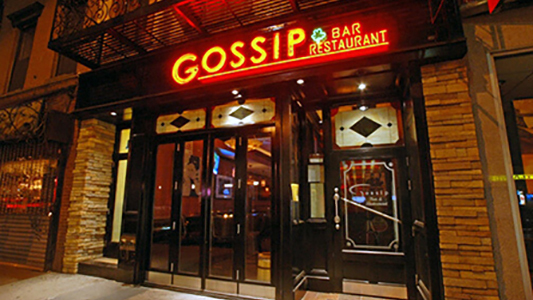 Gossip caters events for various occasions and functions, private and professional. 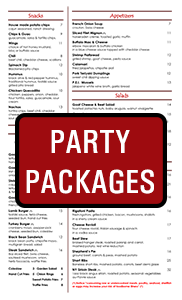 With 2 floors and party rooms, we are able to provide you and your guests with the perfect party environment year round. 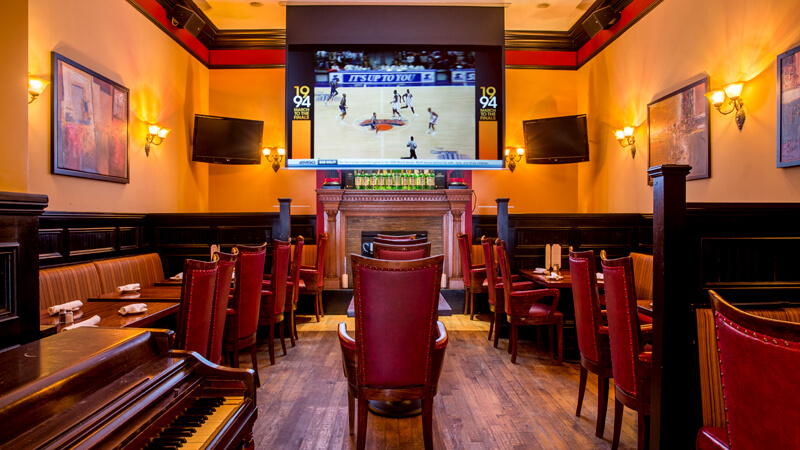 Come and watch all your favourite teams on our 13 HD-Plasma TV's. 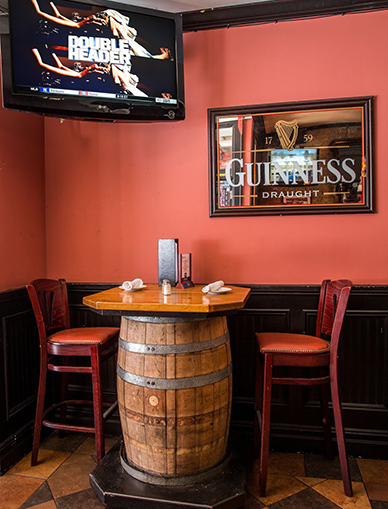 All NCAA, NBA, MLB extra innings, NFL, NHL, GOLF, Fox Soccer Channel & SETANTA games shown. 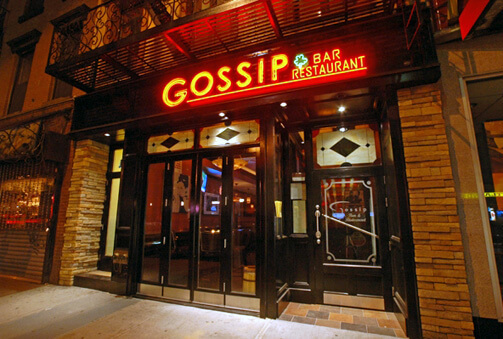 Browse through our snapshots to learn more about Gossip!